If you or a loved one has been a victim of malpractice by a doctor, hospital, clinic, or while on a cruise ship, we are here to help you. When you put your hands in the care of a medical professional, you are vulnerable. You rely upon the expertise of these doctors and hospitals, without the knowledge to make informed decisions. You trust these professionals. When they act negligently, the results can be catastrophic to you and your family. The stress of dealing with the medical and economic consequences is, at times, overwhelming. You may be out of work for weeks, or longer. 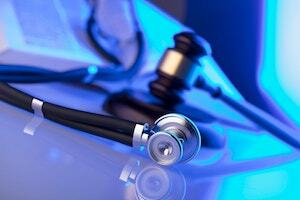 At times like these, you need the help of an experienced Miami medical malpractice lawyer. Call me, Glenn J. Holzberg, a trial lawyer with over 34 years of practice and experience. Let HOLZBERG LEGAL obtain all the financial compensation that you deserve. As an experienced Miami medical malpractice lawyer, I have the relationships needed to navigate this complex field, prove, and win your case. I have the knowledge of the medicine required to understand and manage your case. I believe that learning is not something that stops at law school. I am an avid reader of legal, scientific, and business publications. I believe that we learn throughout our lives, and never stop learning. That is how I view my client’s cases, and my life. This passion and desire to learn is critical to handle your complex case. Experience and caring matters; I have both and bring both to your case. Past cases we have handled include emergency room mistakes, failures to diagnose cancer, and other life-threatening diseases; serious surgical mistakes; birth injuries; chiropractic manipulations under anesthesia causing strokes; failure to timely diagnose, recognize and treat strokes; laboratory and radiology errors; and, prescription errors and over prescription of medications. HOLZBERG LEGAL proudly handles Medical Malpractice on CRUISE SHIPS- failure to recognize and timely diagnose strokes; heart attacks; misdiagnosis-infection; fracture and improper fracture reduction setting; DVT prophylaxis treatment and protocol; failure to treat, medicate, medivac-evacuate, turn ship around, arrange for transport by helicopter/Coast Guard Transport; and, failures to diagnose and timely treat, or seek emergency or advanced transfer and care. Death benefits and funeral expenses for wrongful deaths. As experienced Miami medical malpractice attorneys, we fight for your rights aggressively, obtain first rate medical opinion, and consult with experts in the field to make sure that your case has a likelihood of success in court. We prepare all of our cases as if we will go to trial, which in our experience increases your chances of settling your case before trial. Glenn J. Holzberg will discover your story, and fight for your rights, in your serious medical malpractice injury, or wrongful death case. Let our experience and training help you in your time of need.